I have made quite a few cards over the last few months but have yet to post them on the blog, so I thought that I would start with a couple of masculine cards. These two cards are ones that I made for one our brother in law’s birthday last year. 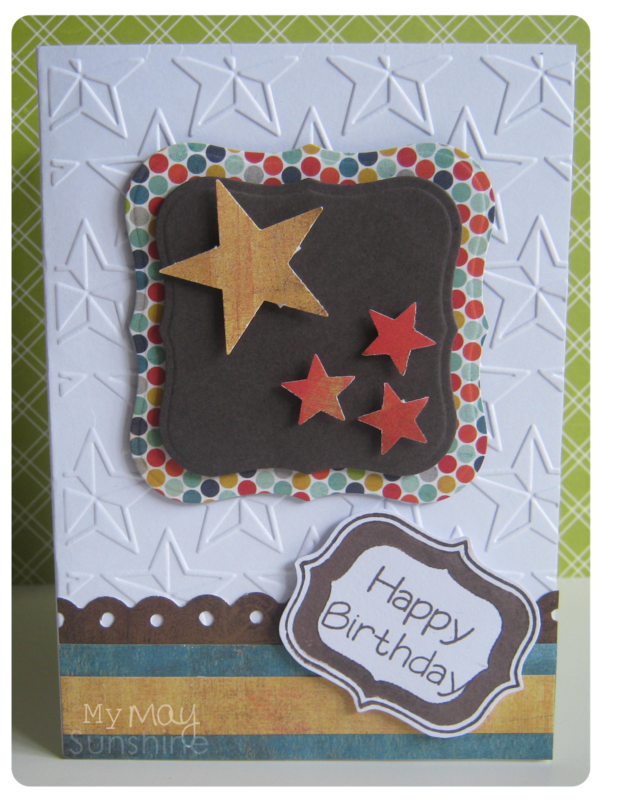 They both have stars and embossed backgrounds as that’s seems to be standard pattern with male cards that I make! Paper – My Mind’s eye out of the blue and Making Memories. Stamp – My Pink Stamper ‘Fabulous Phrases’. Embossing folder – Cuttlebug candy stripes. Button and hemp twine – local craft shop. Paper – My Mind’s Eye out of the blue and Basic Grey Max and Whiskers. Border punch – Fiskars threading water punch. Labels – Nestabilities label one. 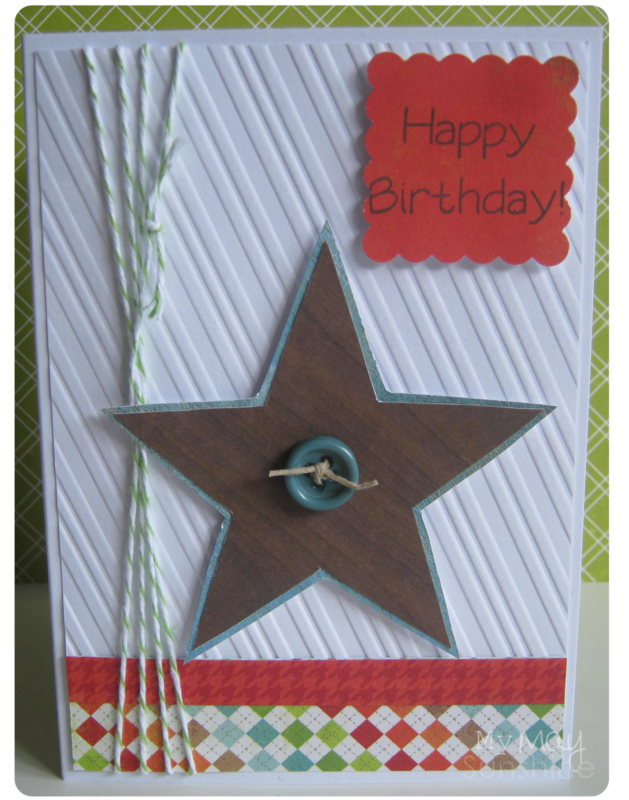 Embossing folder – Cuttlebug stars. See you soon for some more cards. Previous Post Birthday card for mum.